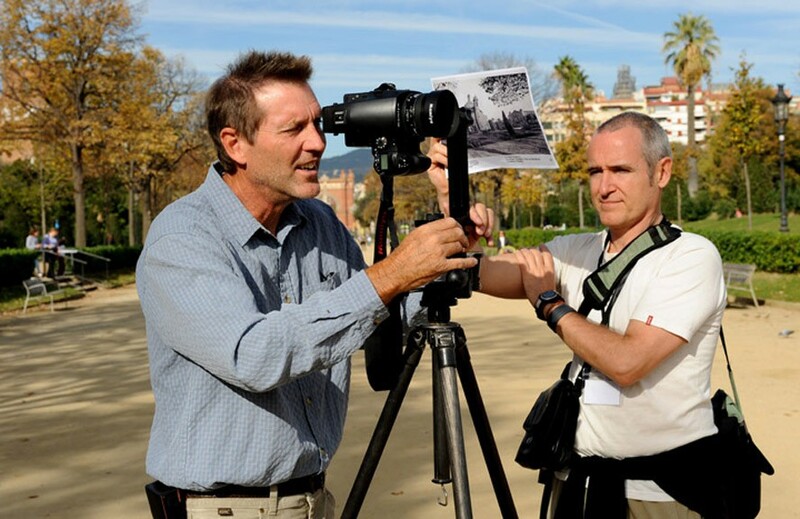 In November 2010, the Photographic Archive of Barcelona and Arqueologia del Punt de Vista organized “Working across Time: Rephotographing Images of Place”, a multiple educational activity with North American photographer Mark Klett. The program was structured around a talk, a demo to students of photography schools, a ten-week rephotography workshop and an assignment. Rephotography workshop with Mark Klett. November 2011. Courtesy Arqueologia del Punt de Vista and Arxiu Fotogràfic de Barcelona. 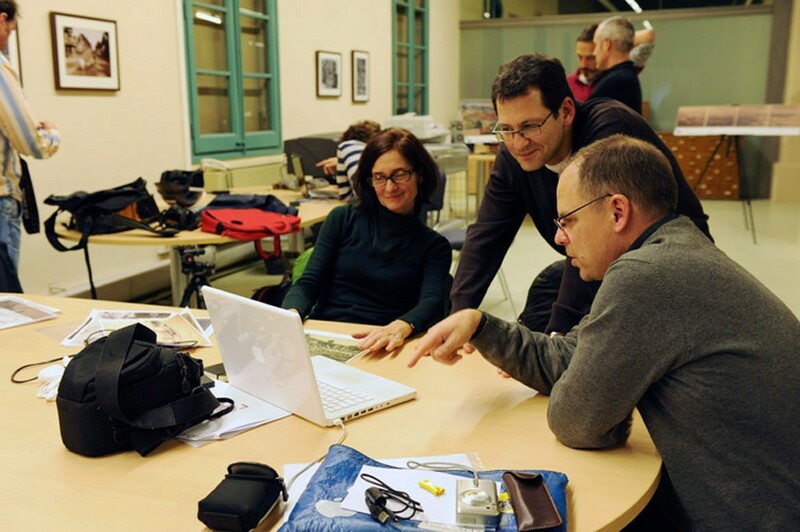 The workshop consisted of two phases: an in-person and an online part coordinated by Mark Klett and our team. 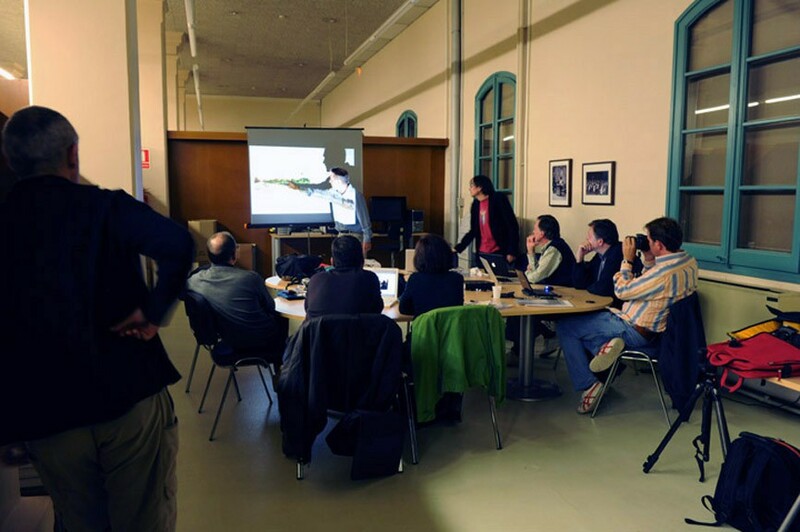 Assistants laid the foundation of their rephotographic work during the first three-day meeting in Barcelona, and completed them during the online course. 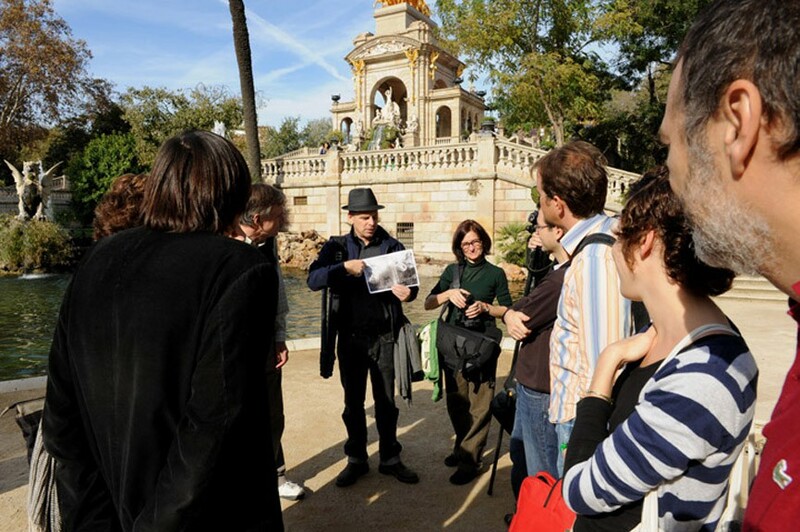 The results of this program were nine bodies of work that were displayed during the rephotography exhibition “Rephotographing Barcelona with Mark Klett” that took place in the premises of the Photographic Archive in January 2012. As a whole, the rephotography projects offered an overview of the paramount changes that took place at the maritime front of Barcelona in late 19th and early 20th century with the aim to reinforce the zone as a progress-model case of the modern city. This strategy of urban development was abandoned in the course of the 20th century and recovered in the event of the 1992 Olympic Games. Share the post "Mark Klett: Rephotographing Images of Time (2010-2012)"